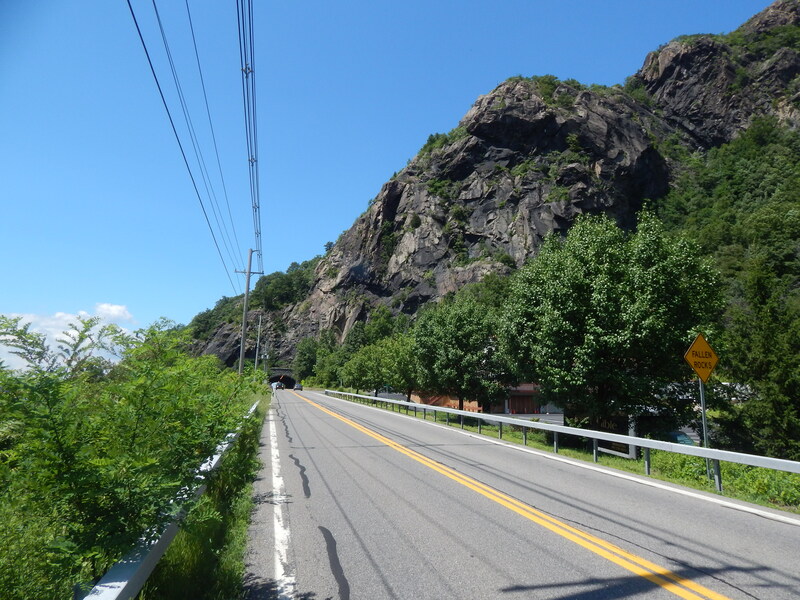 Breakneck, located just south of Beacon in Cold Spring, attracts a lot of hiking traffic despite having a name that implies hiking there will kill you. I wouldn’t consider it a misnomer, either. 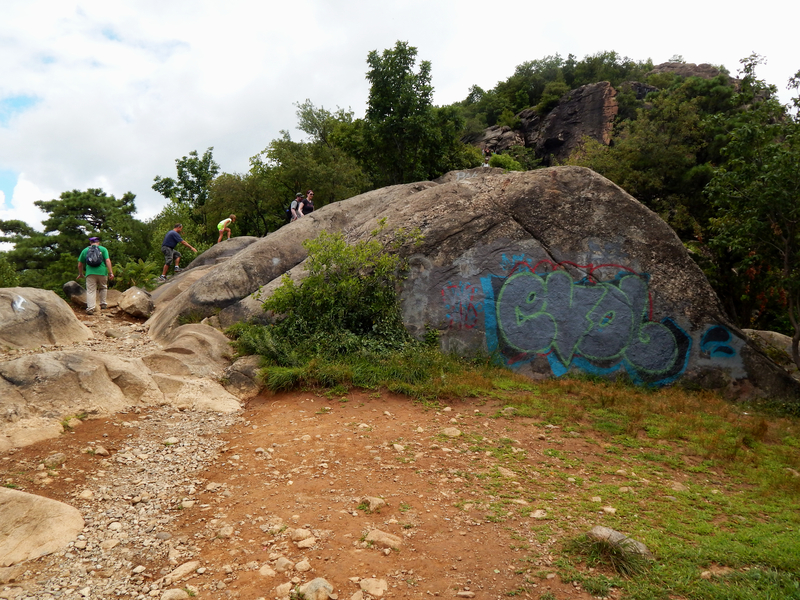 After a short hike from the side of Route 9D, the vegetation drops away and you face the meat of the trail: a steep rock wall that is as much of a climb as a hike. 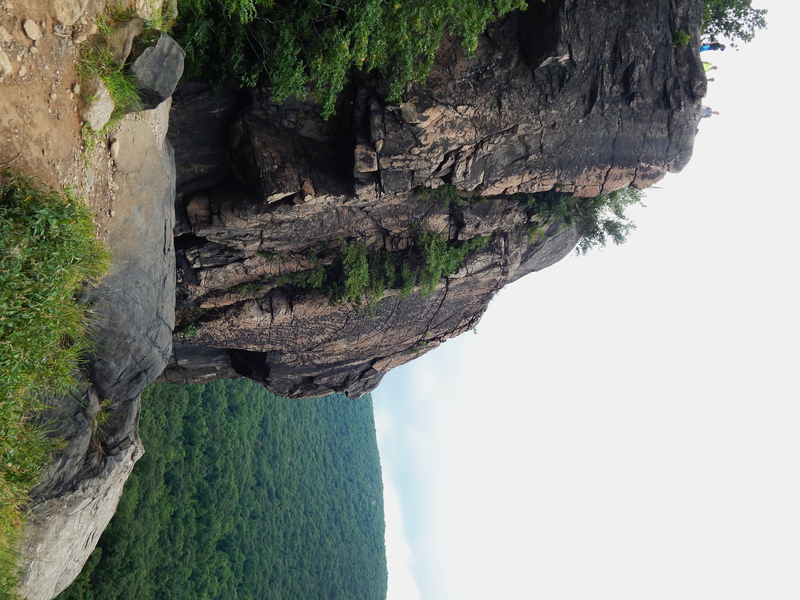 I went with my friend Morgan, who had not done Breakneck before. We decided on an early Monday start to avoid the masses that congregate there during the weekends—the Cold Spring Metro-North station is open exclusively on Saturday and Sunday, partially to bring NYCers up for weekend hikes. 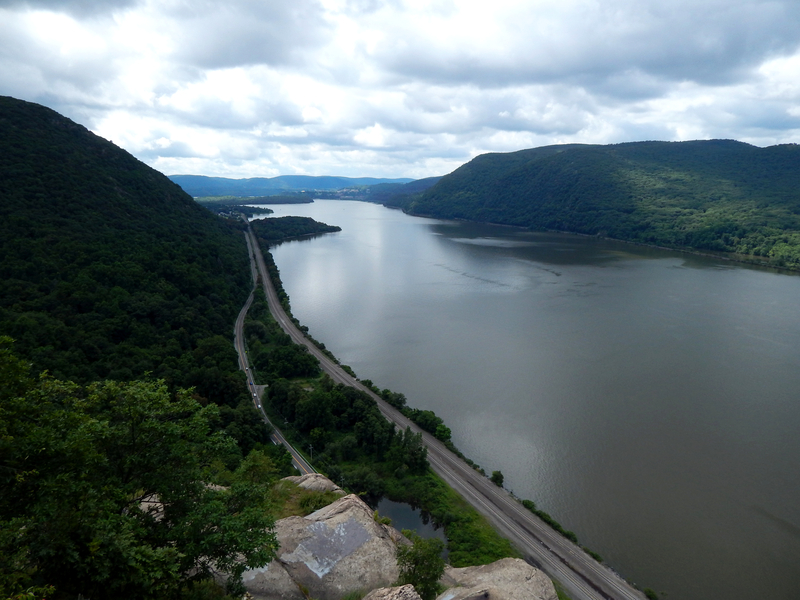 Breakneck is part of the Hudson Highlands, an outlier of the Appalachian Range that stretches from Peekskill to Newburgh. The mountains peak at over 1600 feet, then plunge downwards into the Hudson at sea level, nary a beach seprating rock from the river. 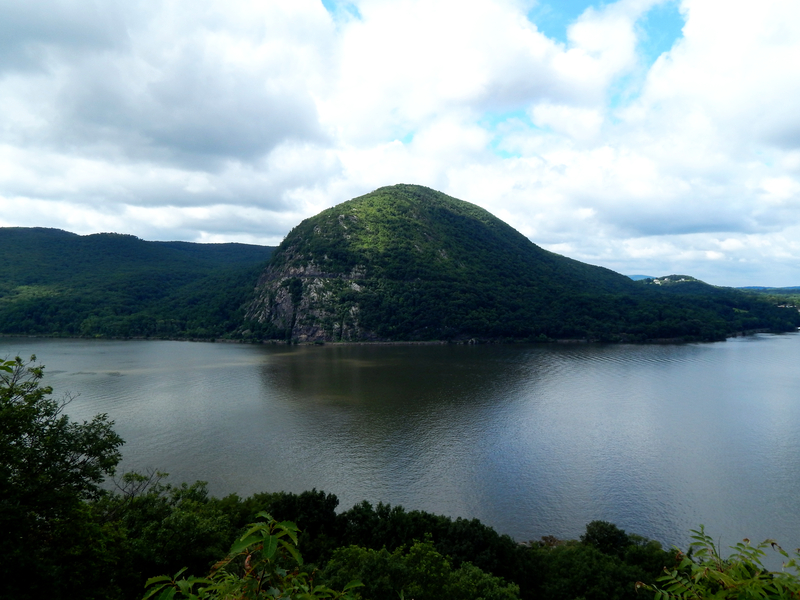 Storm King—the most badass name for a mountain ever. It being a weekday morning, there was a conglomerate of families in front of us on the trail. The kids kept spurting ahead, their parents nervously calling to them to slow down. Some of the kids were really into it, but one l’il snotnose kept on asking when they were going to be done so he could get back to a place with wifi. The second part of the adventure (made possible by a tip from Cara from Bannerman’s Island and Francis The Hustler) was the Cornish Estate Trail. The trail splits from Breakneck near the latter’s peak, then meanders down into the Valley between Breakneck and Bull Hill. The Cornish Estate itself, also known as North Gate, was aquired by Edward Joel Cornish, the president of the National Lead Company, in 1917. He died in 1938, and the property has lain vacant since then. 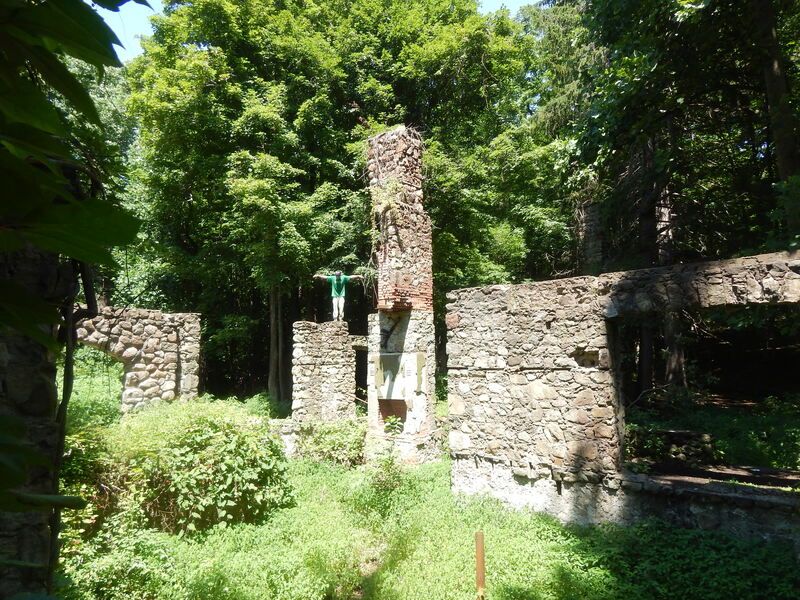 A fire in 1963 removed the estate’s flammable bits, and now only the rock remains. Morgan and I figured the estate would be more off-the-beaten-path, and therefore wandered a lot of deer paths trying to find it, but the estate is actually smack-dab in the middle of the Cornbish Estate Trail (who would’ve thought). 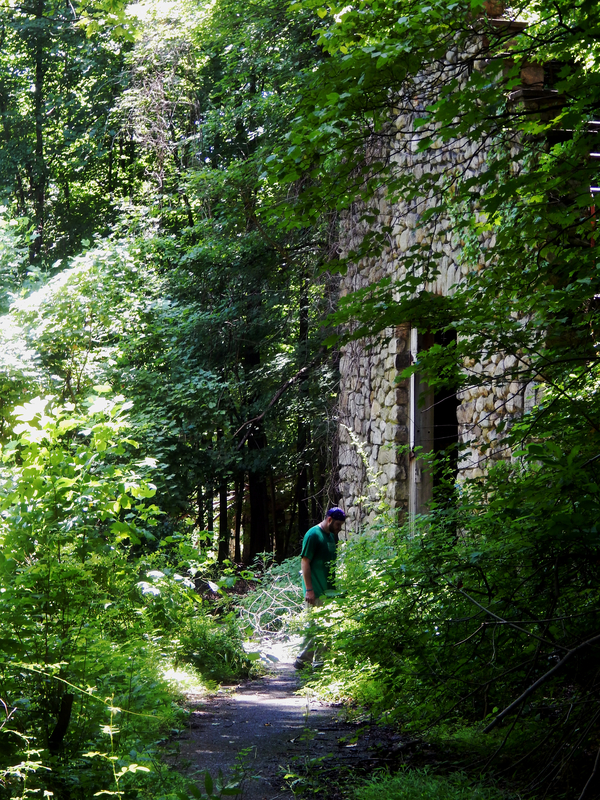 The land is owned by the Hudson Highlands State Park, and therefore represents one of the only abandoned places that I have checked out legally. The basement of one of the structures. Morgan was really freaked out out by this. It was a great hike, all-in-all. My only advice: avoid going on the weekends, because you’ll be greeting by busloads of foreign tourists up from the city. I’m glad the tour companies make this a stop, though.